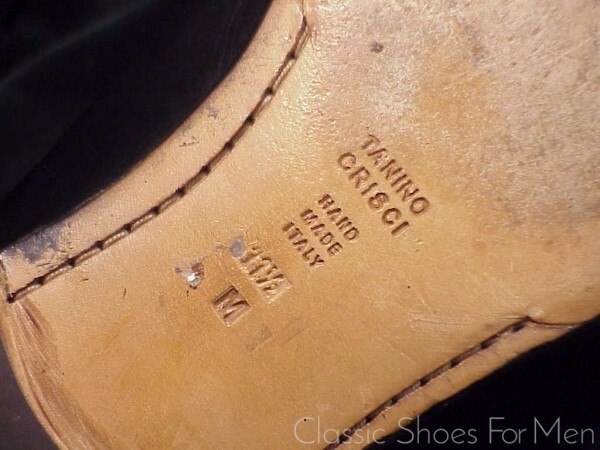 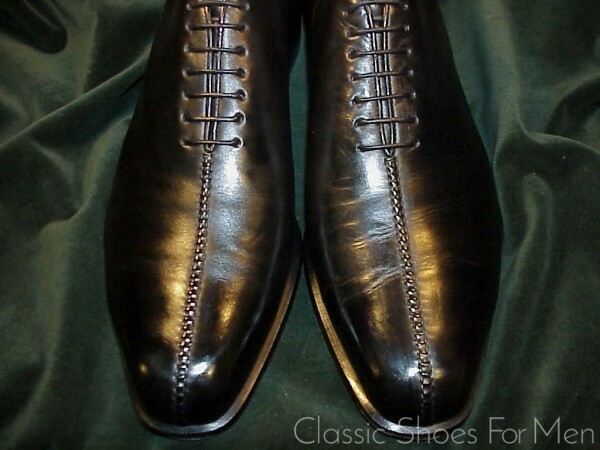 Bespoke or ready-to-wear, Tanino Crisci’s shoes are largely hand made. 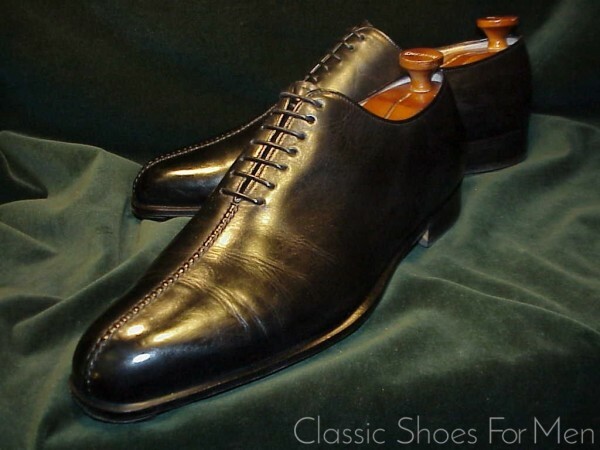 Perhaps this justifies the $1250 beginning prices….although it might well be the extraordinarily lovely leathers they use. 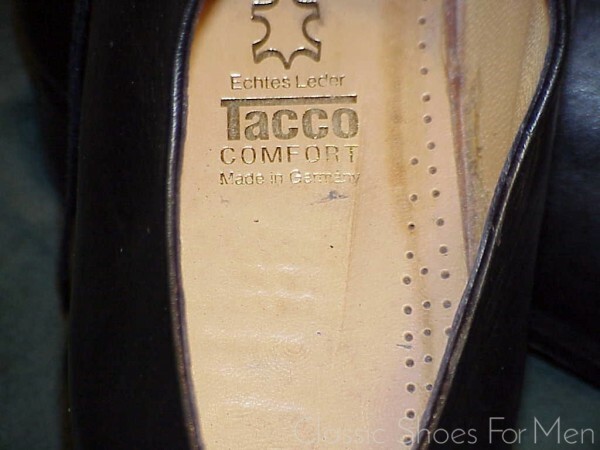 Either way, they boast a fiercely loyal clientele for whom all other shoes are thought to be, by comparison, less comfortable. 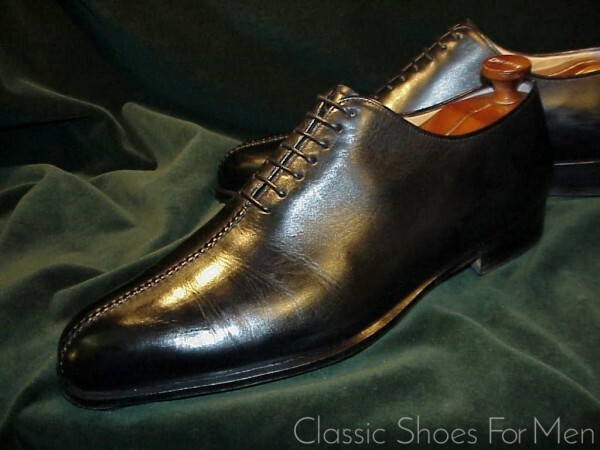 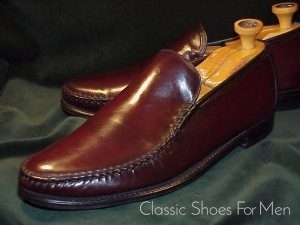 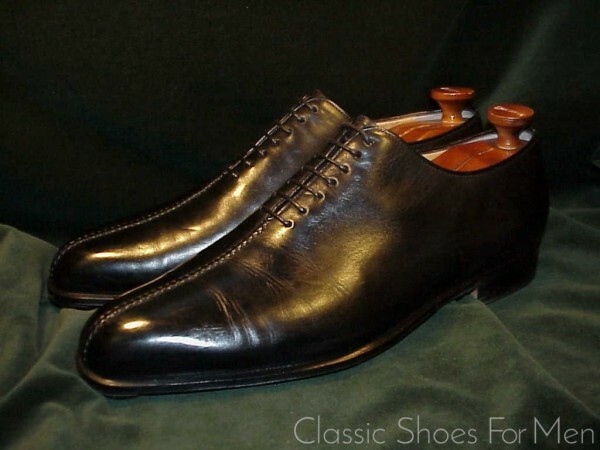 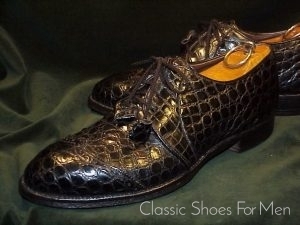 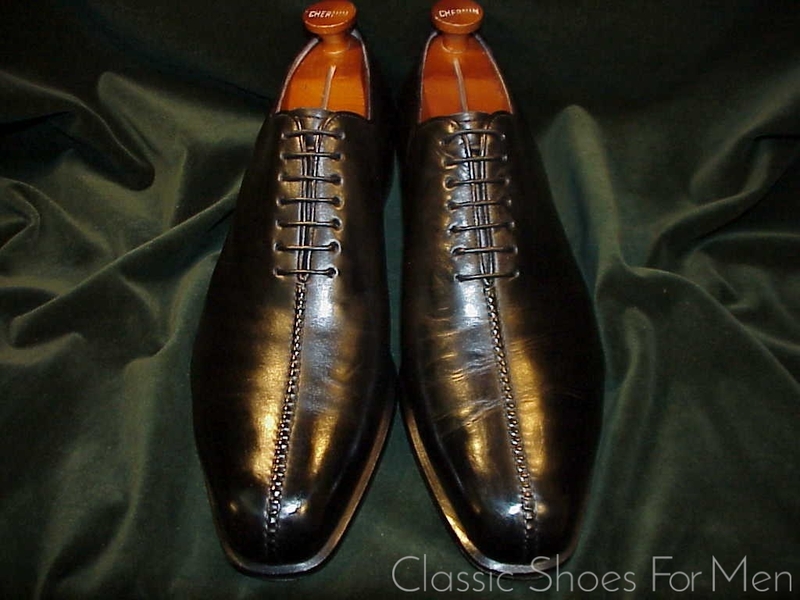 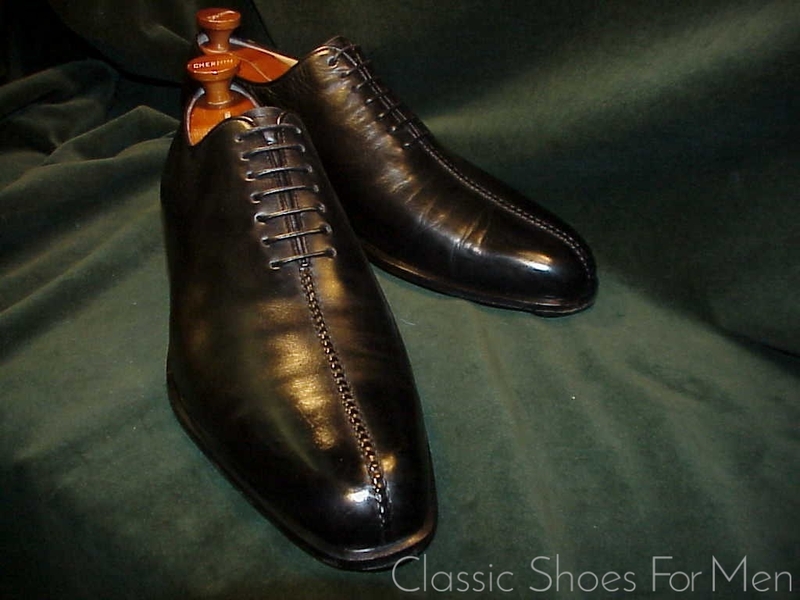 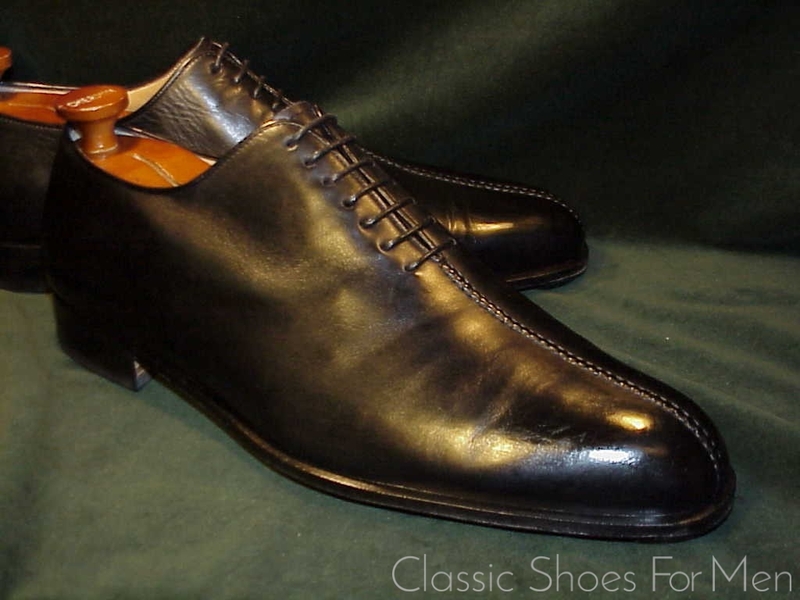 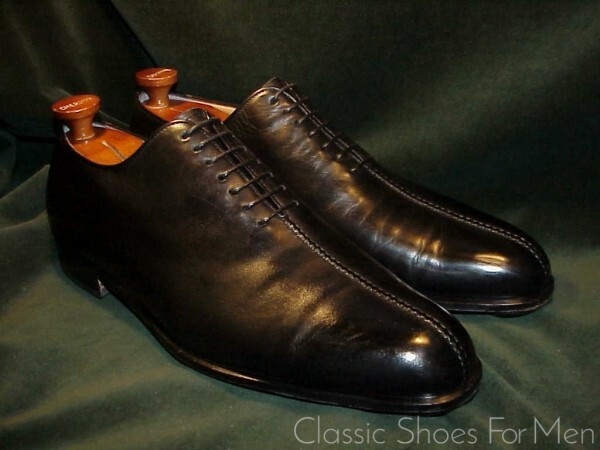 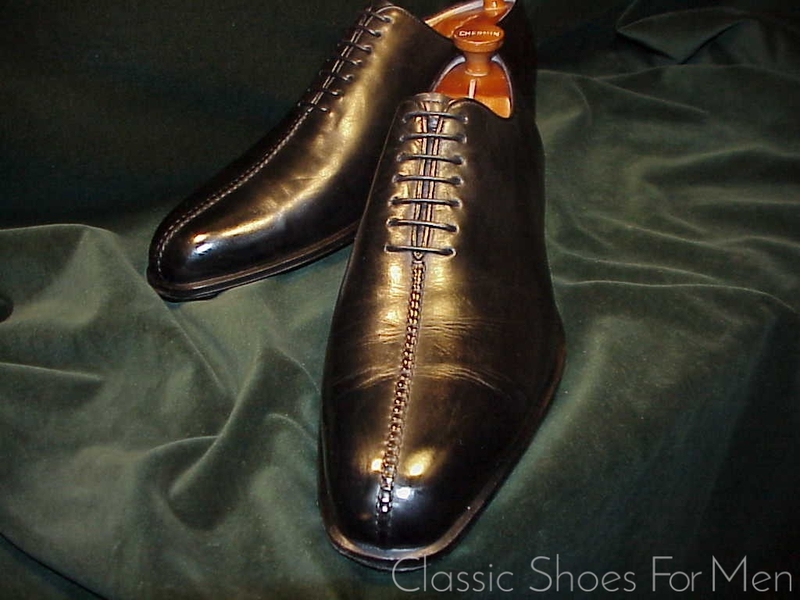 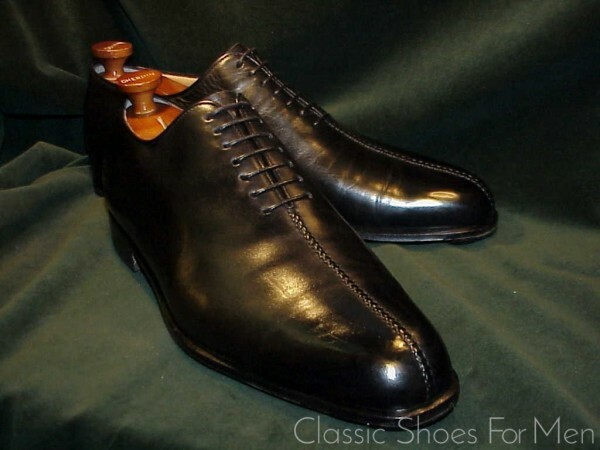 Tanino Crisci’s styles have been somewhat “creative” at times, more suitable perhaps for the red carpet at Cannes than the board room or a gentleman’s dining club, but the pair shown here is a welcomed tour-de-force in restraint, a perfectly executed example of a great traditional classic, the “wholecut”, in which one single piece of leather is painstakingly formed around the last. 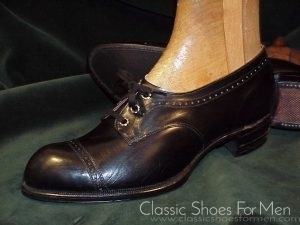 This is, needless to say, the most difficult model for any craftsman to execute. 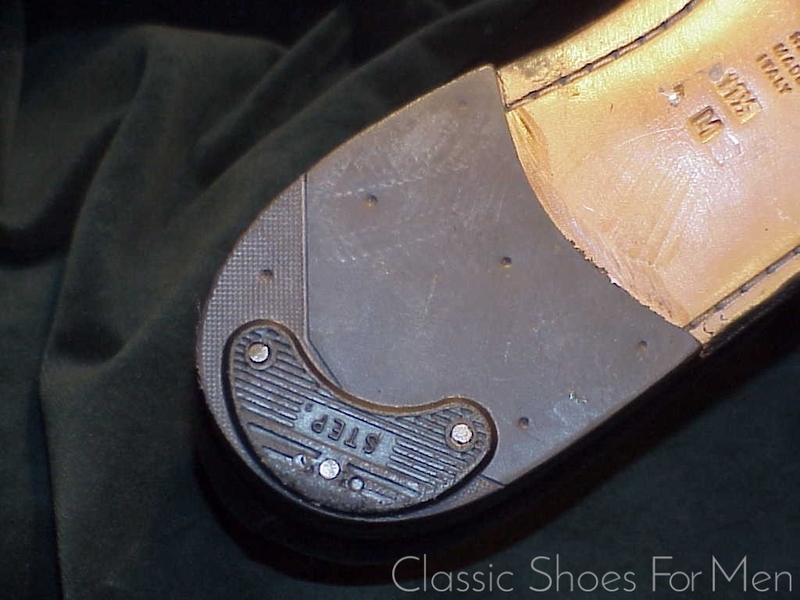 Size: US 12-12.5D……UK 11.5D…….Continental 46.5D, for the medium width foot. Condition: Neuwertig, near new, showing no actual wear. 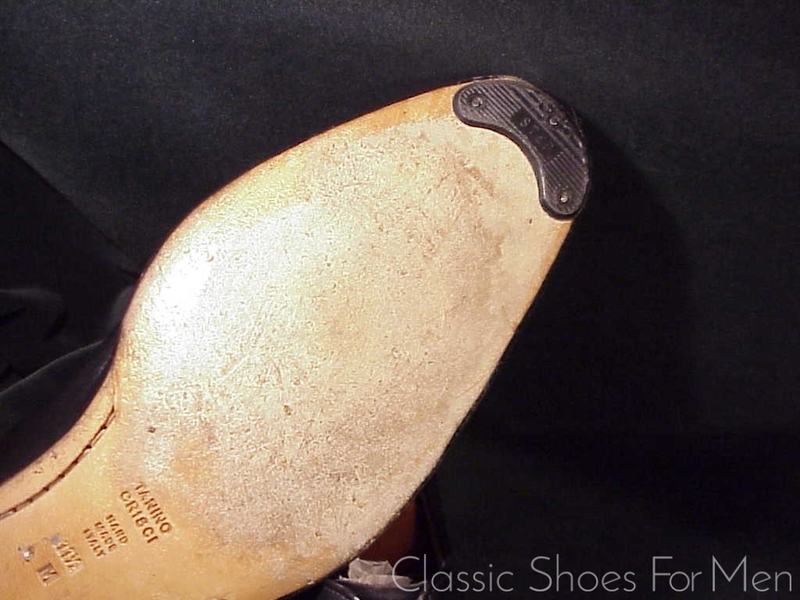 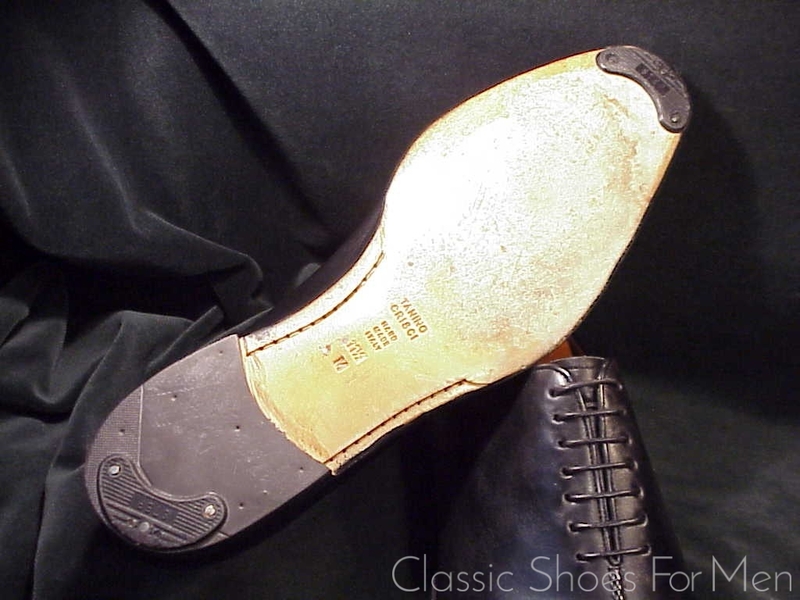 The first scuffing of the sole consistent with one or two wearings to try on. 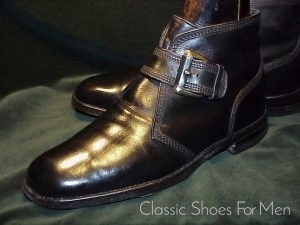 An excellent quality leather insert (removable) has been fitted for extra comfort.